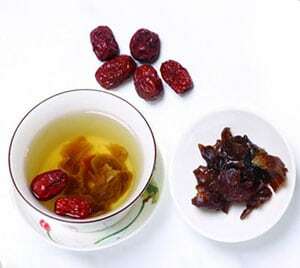 Red dates tea for confinement is good for after birth recovery but not during early stages of pregnancy. 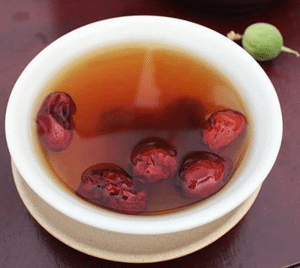 Chinese red dates tea is made by simmering red date with water over low heat. Usually confinement nanny will prepare and store the tea in a thermo flask for mum’s daily consumption. Do ask the nanny for her red dates tea recipe which you can learn and make next time. TCM herbs such as longan and wolfberries can be added to make your confinement drink more nutritional. Dates are one of the commonly used Chinese herbs to cook porridge and soup. They are often used in herbal tonics or as part of traditional chinese medicine, TCM prescriptions due to the many health benefits. Red dates is also known as jujube, are rich in Vitamin A, B1, B2, C, protein, calcium, phosphorous, iron and magnesium. They can be bought individually or as confinement herbal package from confinement agency in Singapore. Otherwise, you can buy red dates online or from Traditional Medical Hall, TCM clinic near you. Red dates is not only beneficial for confinement or after childbirth but general health wellness as well. This is why TCM physicians or practitioners would recommend them to patients with serious health conditions. During post-pregnancy, drinking confinement drinks such as red date tea can help to minimize water retention problems. Increase secretion of gastrointestinal mucus. 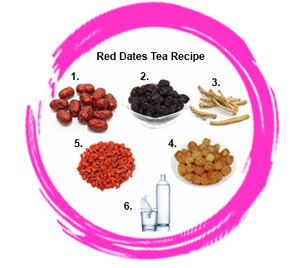 Red dates tea recipe for DIY lovers. Prepare the necessary ingredients and step by step cooking instructions for making red dates tea during the confinement month.